When I moved to Vancouver from London a little over a year ago, the emphasis on living was more than a balance. 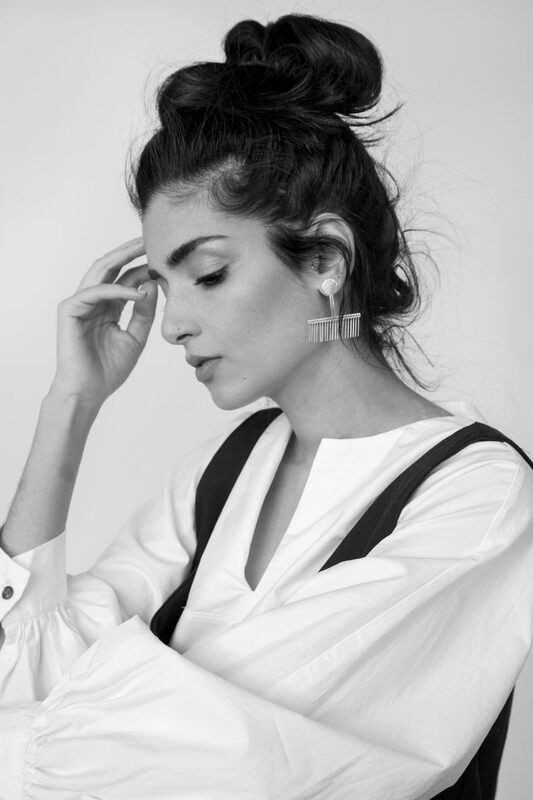 My wardrobe, a stramash of sequinned vintage and embellished separates, suddenly seemed out of place and misguided—it is difficult to express yourself when you have to swap your Maryam Nassir Zadeh pumps for hiking boots. There’s an ease to living here, but that doesn’t mean fashion is at a standstill. There are some Vancouver-based and Vancouver-manufactured fashion lines that are helping define the city on their own terms. 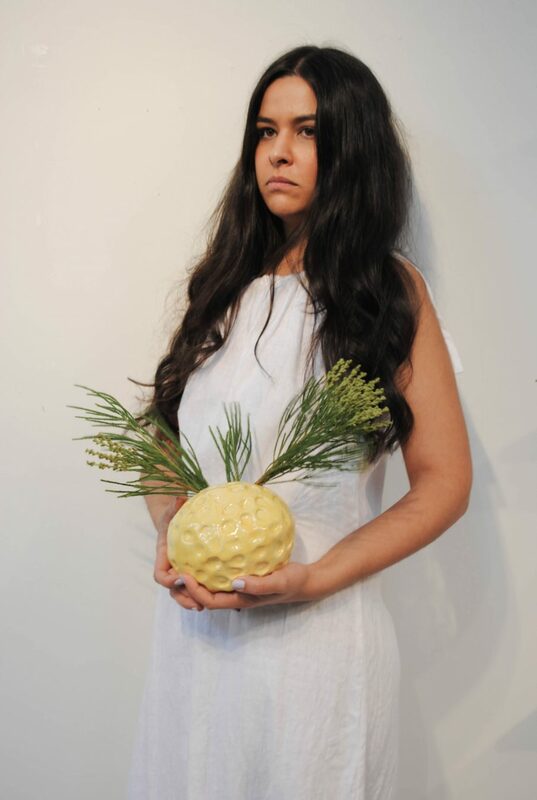 The story: Around four years ago, Mira Campbell and Kathy Hamagami were introduced by a mutual friend who had the foresight to see the potential of their joined creativity. “It was a true collaboration,” Hamagami says of the brand they eventually formed. The pair started out with the simplest of silhouettes, slowly and naturally evolving from two-piece tunics to more considered pieces. They both had full-time jobs at the time, but the connection was instant, and progressively over the last two years, they made moves to focus solely on Lloyd. The ethos: Hamagami does the talking while Campbell concentratedly sews rows of stitches on the waistband of a pair of the label’s linen pants. 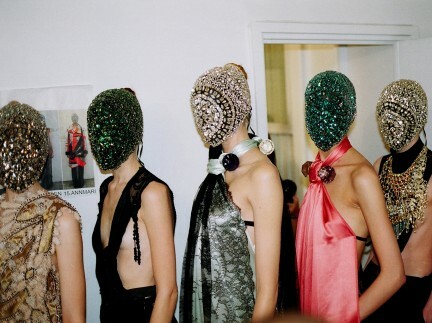 “We’ve never liked the conventions of fashion—we’re rejecting the idea of creating something to wear a year from now,” she says of the reactive way they design. “You can’t be present in the time that is now if you’re always thinking about what’s ahead.” Lloyd produces collections that are intended to be seasonless and versatile. If it’s a particularly warm month they might release a sundress, and if they need an extra layer for those crisp nights, they might design a sweater or coat—the business model is responsive, and therefore hyper-relevant. Everything is handmade in Hamagami’s studio-come-apartment in East Vancouver, and they source their fabrics just a few blocks away. 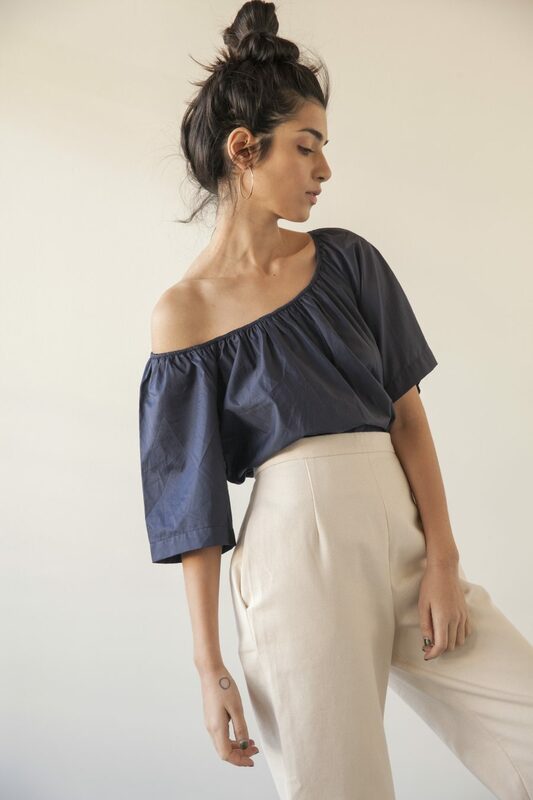 The aesthetic: “We make basics that you’re going to own and love forever,” says Campbell over the hum of the sewing machine. Silhouettes are forgiving yet tailored, and designed for maximum ease. Linen, silk, cotton, and rayon are utilized for the way they feel against the body. The collection is a thoughtful edit of pieces that transcend age, style, and shape. Find it: Online or in-store at Charlie & Lee, Hey Jude, and Oliver & Lily’s. The story: Tessa Hughes is a mother, and her foray into design was born from the desire to feel and look good in outfits that were also practical and functional. Her raglan-sleeve dresses and t-shirts were stocked in Neighbourhood Quality Goods and Charlie & Lee, and they struck a chord with the city’s laid-back vibe. 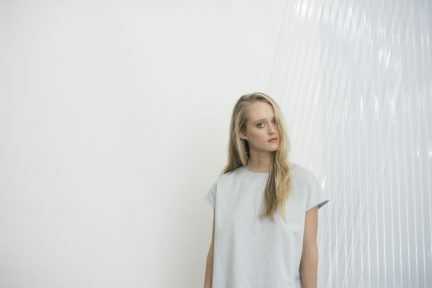 Despite the instant success of her eponymous label, a move to Alberta earlier in 2017 prompted Hughes to reconsider the positioning of her brand and what she was committed to it becoming. “I was frustrated that I couldn’t make my business more affordable,” she explains over the phone. 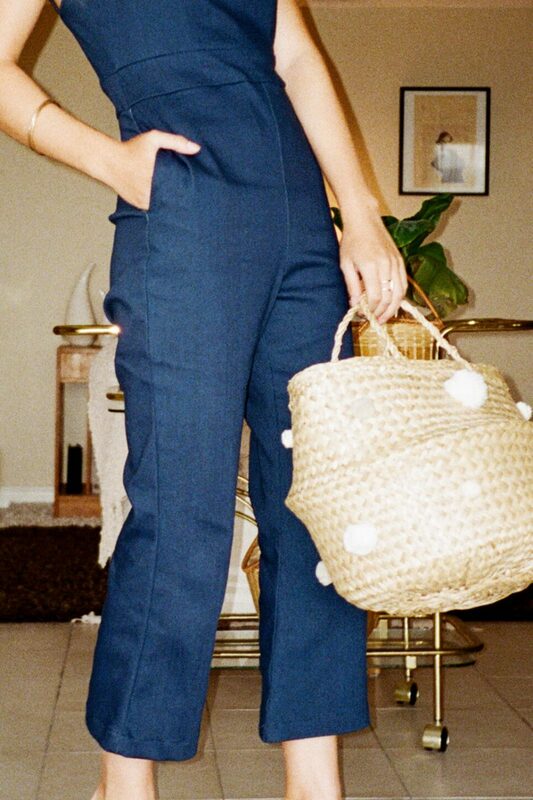 “I’ve always been obsessed with value.” Now known simply as Tessa (dropping the Hughes), the brand ditched its oversized, hide-everything styles and replaced them with limited-edition one-piece collections. Up first? Velvet leggings. The ethos: “I cut out every single expense that wasn’t necessary to what I’m doing,” Hughes says of her rebrand. Committed to keeping manufacturing in Vancouver—the costlier option—Hughes made the decision to lower her price point and increase sustainability by reducing waste. 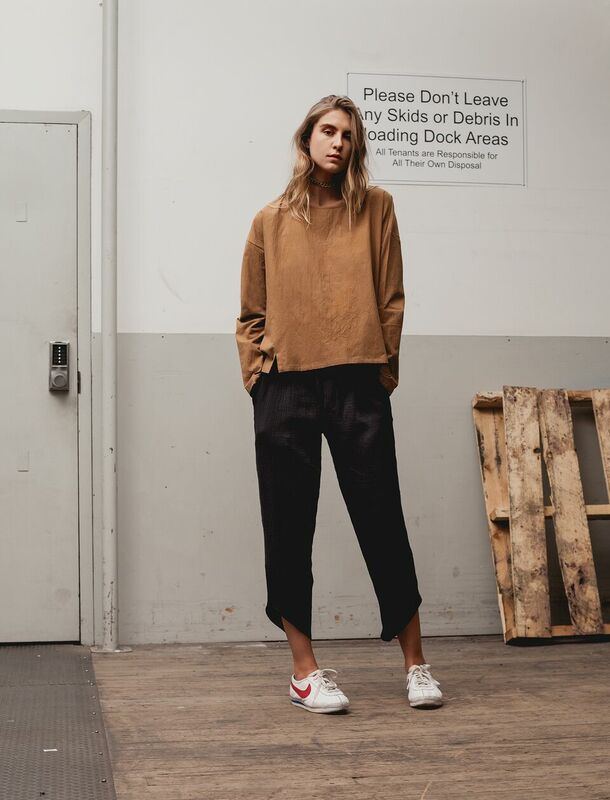 She pivoted the business to an online-only model, and with that removed the need for hangtags—something she points out is a luxury, not a necessity. Expensive photoshoots are no more, and orders aren’t wrapped in layers of tissue paper and encased in plastic. “Clothes should simplify your life, not complicate it,” she says. Good for the environment, good for the consumer. The story: Priory—originally known as Priory of Ten—was launched in 2012 by friends Eunice Quan, David Lin, Armin Tehrani, and Mei Liu as the in-house label of their Chinatown boutique Board of Trade Co. Fast-forward four years to 2016, and with the departure of Liu and Lin, Quan and Tehrani had to decide whether to keep the line going. “It was tough business at that time—what customers wanted didn’t align with our price point,” Quan says over the phone. 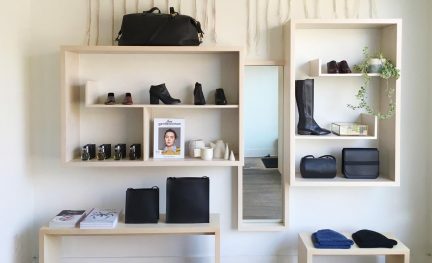 Jill Wenger, founder of Totokaelo, encouraged Quan and Tehrani to take over, promising to buy from the label as soon as it found its new guise—and so they decided to keep moving forward, closing Board of Trade to focus on the brand, which they renamed Priory. The aesthetic: “Womenswear, but we aren’t even sure,” reads the tagline on Priory’s Instagram account. Quan won’t describe the line as unisex, but it tips the scale into androgyny. 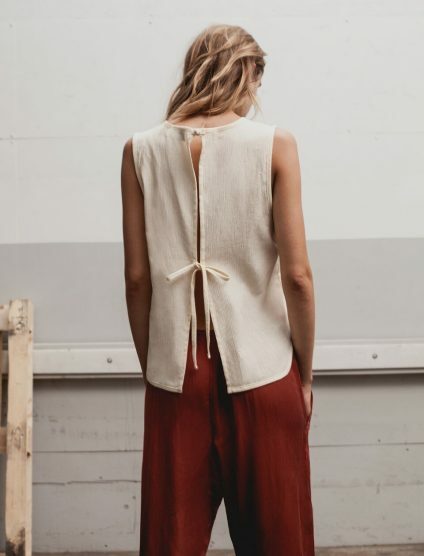 Silhouettes are cut so that they are forgiving and easily layered, meaning that a linen top or a long, sleeveless tunic finds room in your wardrobe long after you’ve debuted it. The aesthetic may lend well to creative New York types, but the muted colour palettes and undone styling of the pieces make Priory accessible to everyone. Plus, it’s all made right here in Vancouver. Find it: In-store at Neighbour / Woman and Gravity Pope. 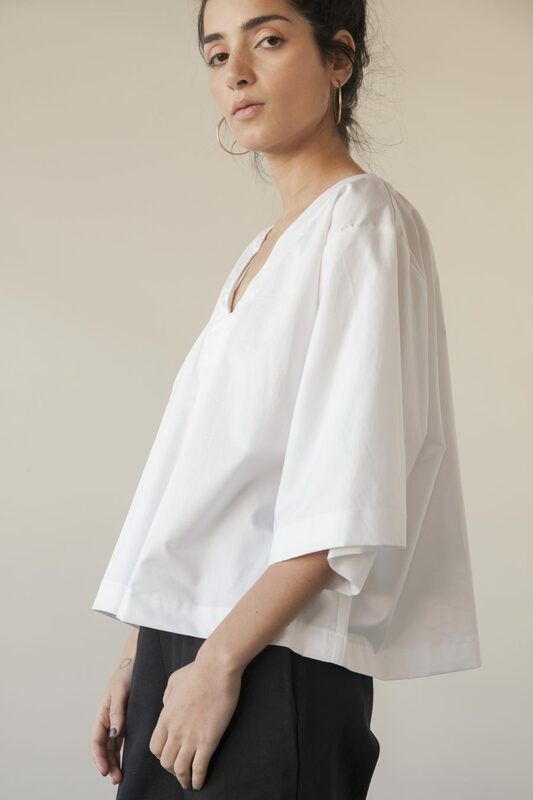 The story: If this is the first time you’re hearing Sunja Link’s name, don’t be fooled—the designer has been weaving her creativity through Vancouver and beyond since the early 2000s, working on The Block’s in-house line before taking time off to raise her family. Changed by her new reality, Link launched her own collection in 2014, and—thanks in part to Instagram—has since grown it exponentially both at home and abroad. The aesthetic: I like to think of Sunja Link as clothing for the introvert. Nothing is overtly showy or nuanced, yet every piece is still an expression of self-style. “They’re not only for the 20-year-old or the 60-year-old, it’s not only for one body type or another,” she emphasizes. Dresses are Link’s bread and butter and the pieces she most likes designing, because she sees them as complete outfits. Find it here: Online or in-store at Charlie & Lee, Eugene Choo, and Room 6. The story: “I was so disgusted by the industry,” Laïla Bédard-Potvin tells me as she explains how her label Harly Jae came to be. Bédard-Potvin moved to Vancouver from Quebec around six years ago to study fashion marketing. 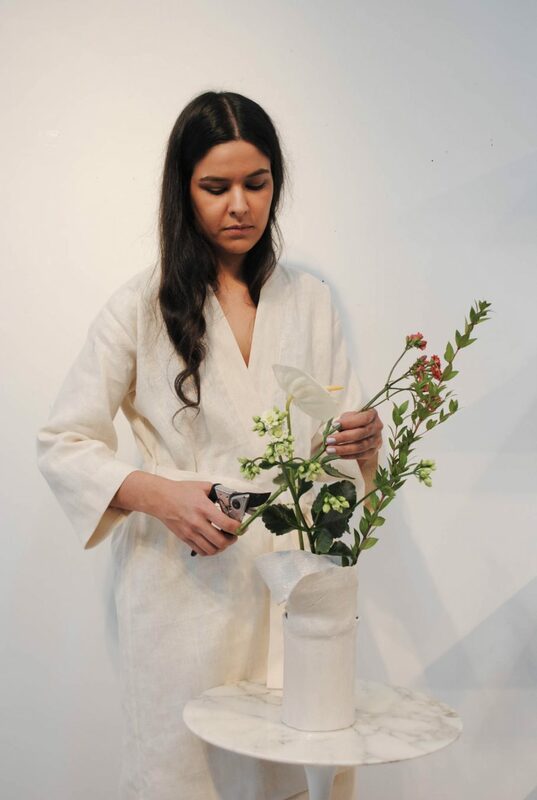 She completed her schooling and with it, various internships that opened her eyes to the mass waste that the fashion industry is responsible for. “I didn’t want to be a part of that,” she says. Four years later, Bédard-Potvin spent a weekend modelling for her friend’s swimwear label in Tofino. She realized then that she could still manifest her dream, she just had to change the rules. 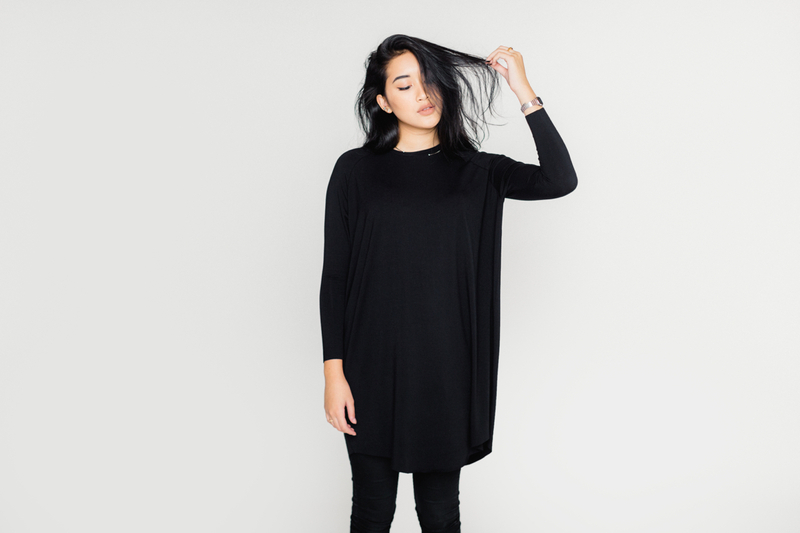 The ethos: Slow fashion is the antidote to fast fashion—these are considered designs made to last. 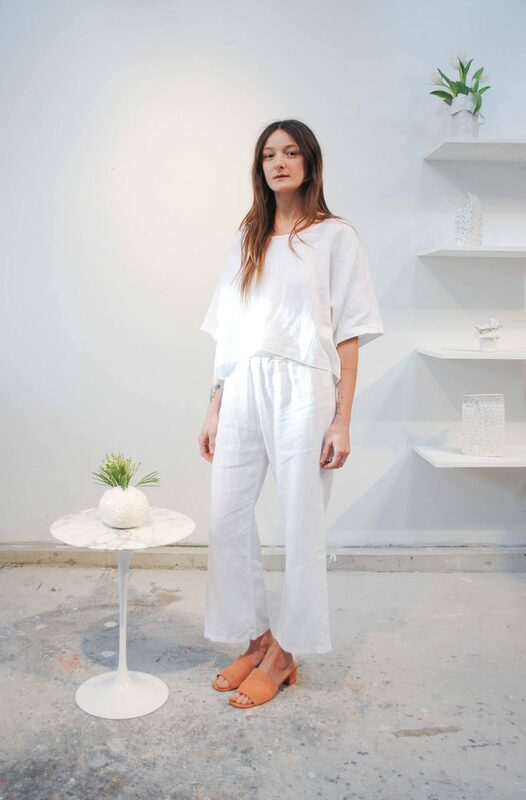 Alongside applying this framework to every piece, Bédard-Potvin is also committed to producing in Vancouver, using sustainable fabrics, and creating as little waste as possible. It’s a sentiment that dictates her business model, as well. Her first collection, launched in June 2017, featured just three pieces. The aesthetic: When she started designing, Bédard-Potvin considered her own wardrobe and pulled out the pieces that she had worn for years, considering why she’d kept them for so long. The items were mostly vintage, so she sat down with her mother, flipping through old photographs to observe the similarities. “I asked my mum to show me her old clothing and she would get super excited telling me the stories behind each piece,” she recalls. “I thought it was amazing that she could remember, because now we buy so much, we never remember.” The debut Harly Jae collection features a figure-sculpting jumpsuit inspired by Brigitte Bardot, and a Cardin twin set: a cropped tank top and beautifully tailored pants, woven from an organic cotton and linen blend. Find it: Online and in-store at Hey Jude. 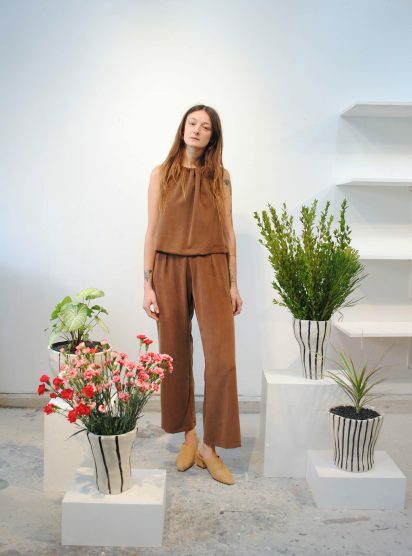 The story: Erin Templeton recently celebrated 10 years in her Chinatown studio-storefront, and her tenure is a testament to the designer’s charming eccentricity and talent. Templeton is a hustler, less concerned with excessive reasoning and more interested in getting the job done. Although she attended Cordwainers College (the renowned cobbler, leatherwork, and saddlery school in London), she brushes it off as a whim, simply deciding to go when her roommate left a flyer for the course on their coffee table one morning. Templeton instead cites working on her friend’s market stall, tinkering away with leather and crafts, as being pivotal to her work. She later moved to Melbourne, took another course at college, and started working for a “crazy vintage guy” who bought thousands of pounds’ worth of leather pants and couldn’t shift them. Templeton used the pants to make leather hats, and with that, the first version of her label was born. Find it: Online and in-store at Erin Templeton, Eugene Choo, The Block, and Tiny Finery. 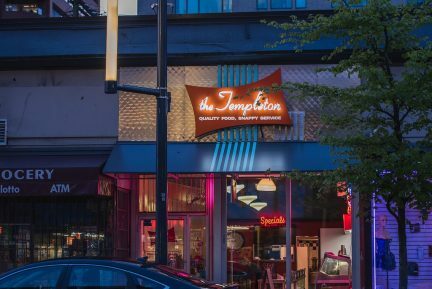 So while the pace is slowed, ambition and drive are what keep the city moving—a dichotomy that makes the style in Vancouver so interesting.